While John was born in Hemet, he knew he needed to find a new place to start over after a few hard years led him to lead a lifestyle of drugs and violence. With his marriage of eighteen years over and his savings depleted, John had no place to turn and was forced to live on the streets. After three long years of using while sleeping under bridges, in boxes and wherever he could find shelter, John met someone who recommended he check himself into a rehabilitation program and start his life anew. After catching a ride down to Vista, John checked himself into Casa Rafael, the Alpha Project’s residential drug and alcohol treatment program for formerly incarcerated men. While working their program, John was linked up with one of Interfaith’s coastal social services case managers, who helped him get copies of his birth certificate and social security card. “Sometimes it can be hard to ask for help. But when someone sees you and tells you that you’re worth a second chance, it can change your life,” said John. Interfaith was also able to help John with clothing vouchers, transportation passes and employment assistance – offering him job leads and help fine tuning his resume. 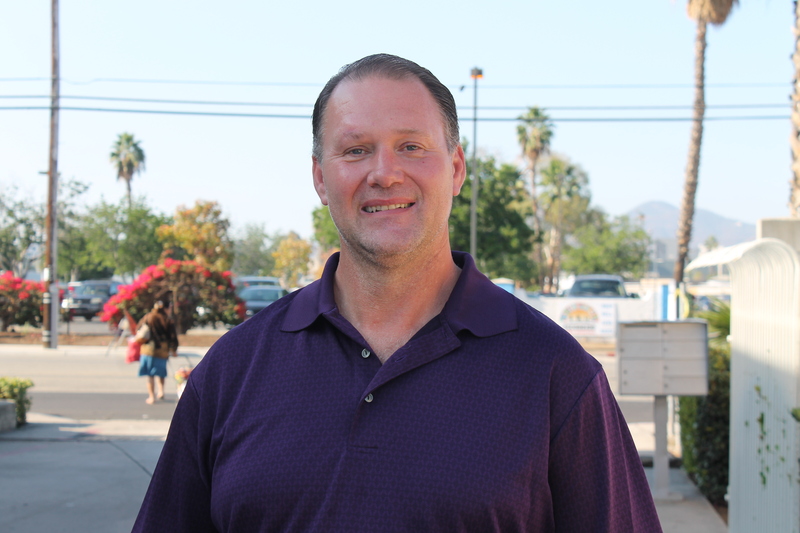 Today, John works full-time for Saladino’s, a local food service provider, as a truck driver and lives in Escondido. Once he hits his six-month employment mark with the company, he will be transferring up to their office in Simi Valley, which will allow him to be closer to his oldest son, with whom he has reconnected after ten years. John’s two other sons will be graduating from Army boot camp in five weeks, and he looks forward to spending time with them following their graduation as well. Rebuilding his relationships with his children isn’t the only major lifestyle change John has made since working with Interfaith: he credits much of his success to daily meditation and exercise.